OLD BRIDGE, RIVARENO, GIOLITTI, AL SETTIMO GELO. 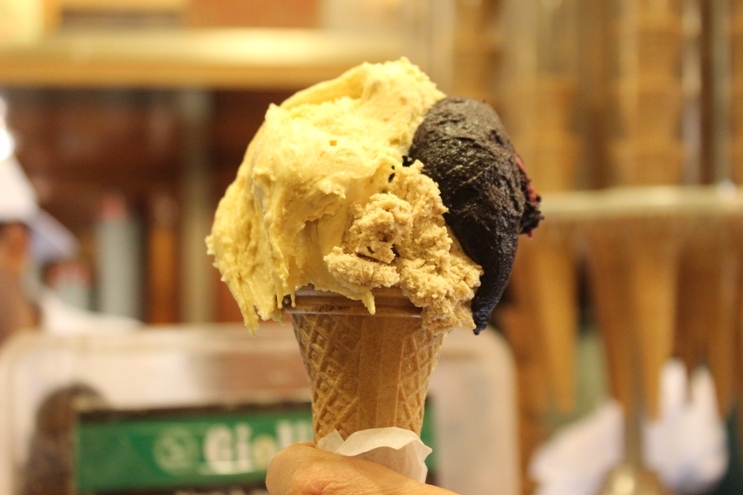 FOUR GREAT PLACES WHERE TO EAT GELATO IN ROME! In 1890 Giuseppe and Bernardina Giolitti opened a creamery where they used to sell milk from their own pastures in the Roman countryside. 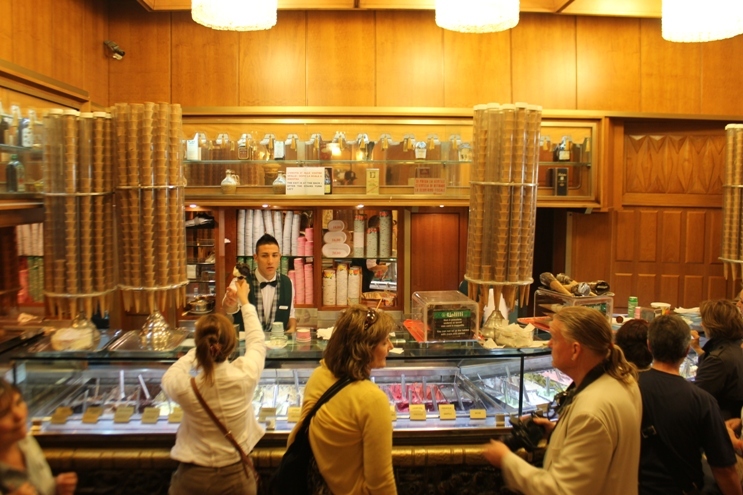 The store was immediately successful and during the 21st century it expanded to a gelateria and pasticceria. It now serves food, drinks and, above all, gelato, offering both indoor and outdoor seating. 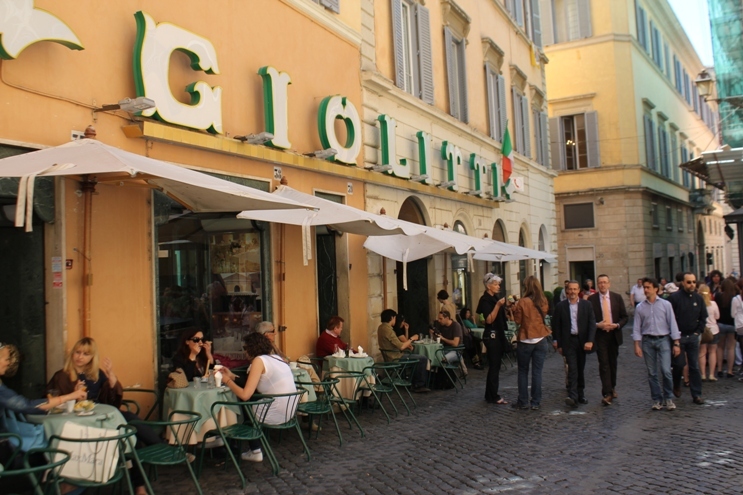 Being renown as one of the best gelaterias in Italy, the madness at Giolitti begins long before you walk into the door. 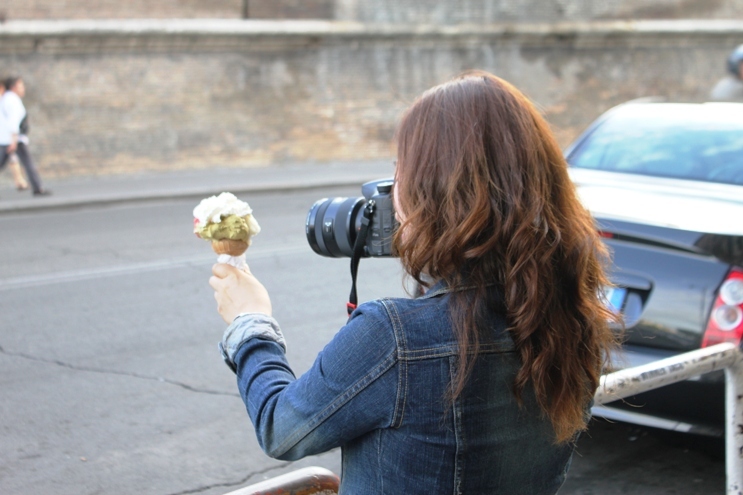 On the small, narrow street, tens of tourists are taking pictures and waiting in line. The range of flavors in the display is impressive: from Champagne to Papaya and Cucumber. Among the best, the three flavors that deserve a mention are: ‘Fichi Carmellati’, ‘Opera’ and ‘More’. In the first one, the caramelization makes the fruit taste like it has a rum base, sweet but with a bitter-burnt kick. 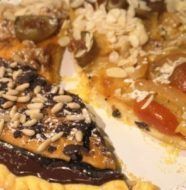 ‘Opera‘, a mixture of pistachios, almonds, hazelnuts and pine nuts is really rich and loaded with a generous amount of nuts. ‘More‘, a dark raspberry sorbetto is heavily seeded and it impressively reflects the tangy flavor of the wild berry. 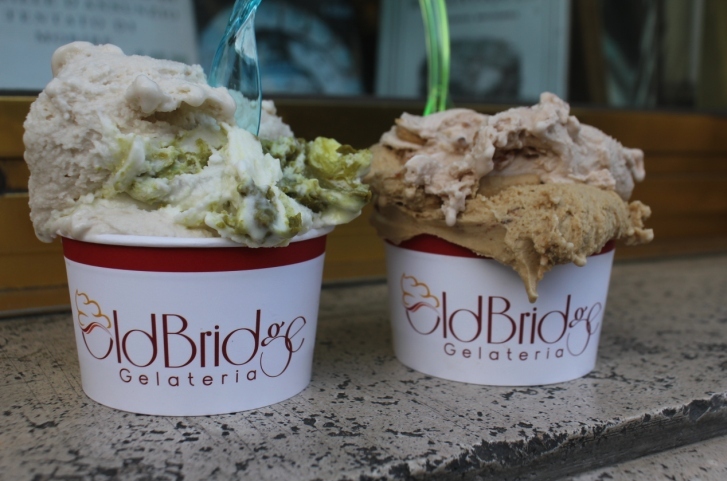 For the price of E 2.50, one gets a substantial gelato with three flavors. If you go, make it a destination and expect what you would at all tourist locations. Lots of people. 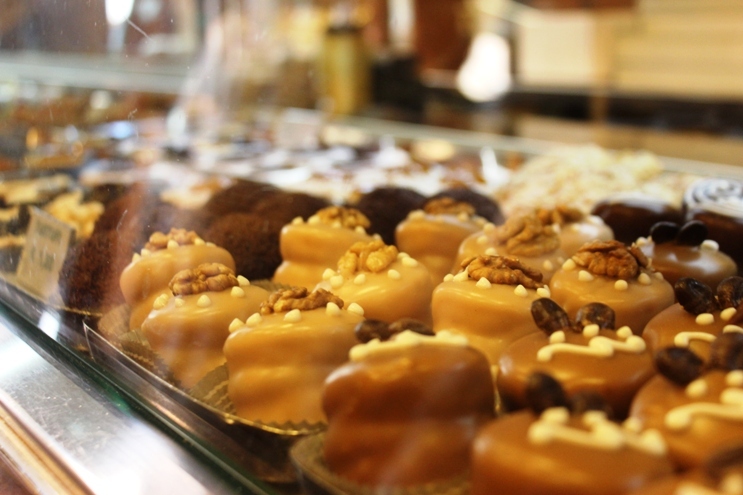 The first RivaReno shop opened in Milan, in via Col di Lana in 2005, with the recipes of the gelato chef Leonardo Ragazzi. 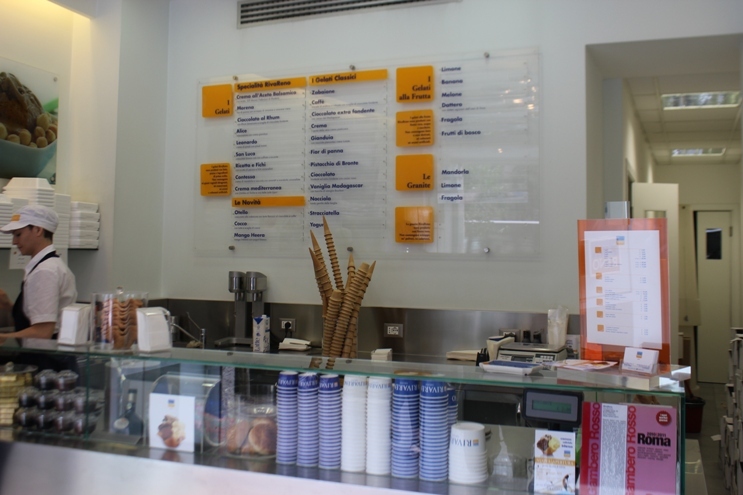 Their philosophy is: the best quality ingredients, no colorings, preservatives or artificial flavors, to combine Italian tradition with creativity and innovation such as their ‘Mango Heera’, an Indian mango and yogurth gelato that reminds of an exotic Mango Lassi. The result is a really fresh product, prepared daily in the lab of every RivaReno store using the best Alpine milk from the Stura Valley in Piedmont. Their masterpieces are: ‘Crema Mediterranea’, made with the Sicilian liquor Zibibbo and raisins from Lipari, ‘Contessa‘, an almond and hazelnut cream sprinkled with amaretti and caramelized almonds, and ‘Otello‘, an eggnog infused chocolate with pieces of ‘torta Barozzi‘, a dark chocolate and coffee cake. 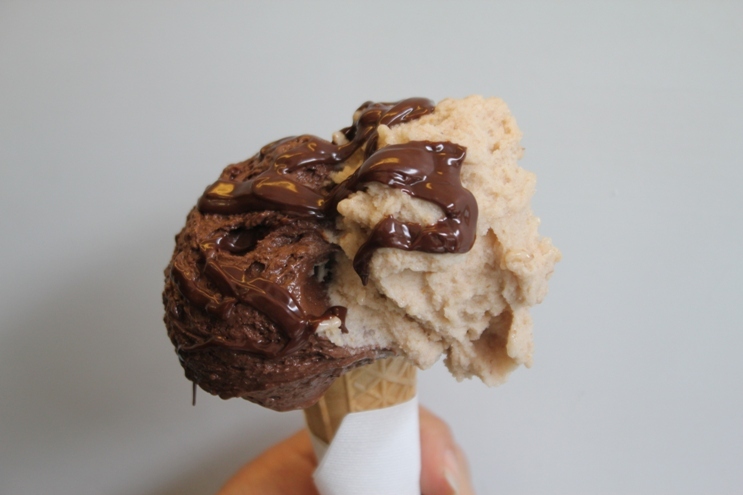 Not to miss are also their ‘Crema all’Aceto Balsamico‘, a custard based gelato drizzled with a delicious, very thick vinegar glaze and the ‘Crema di Gianduia‘ they pour on top of your cone. Old Bridge opened in the proximity of Vatican City 25 years ago. 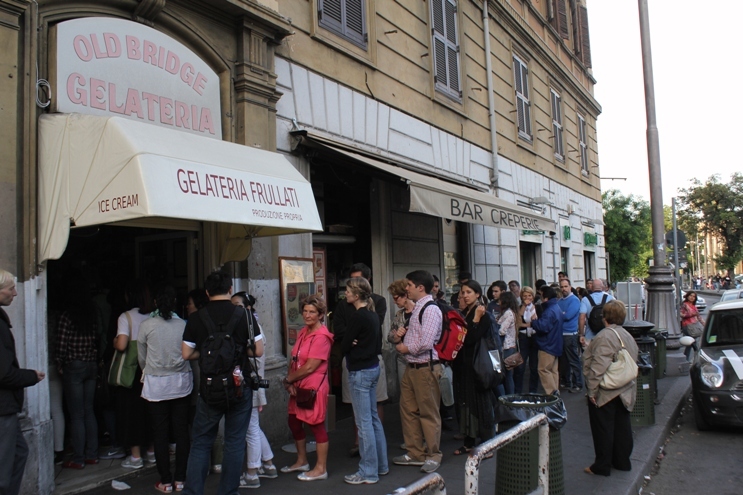 Since then, a noticeably long queue of people stand outside this shop, where the gelato is freshly made everyday using only natural products. The ‘Ricotta e Pistacchio‘ here is one the most delicious and particular flavors one can dream of. A delicate milky base intertwined with a silky pistacchio cream and bristles of nuts. 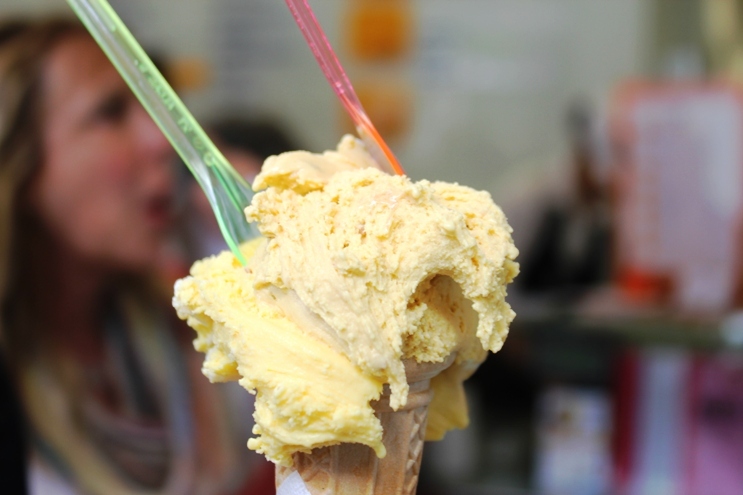 Other favorites are ‘Dolce Latte’ (dulce del leche), the gelato version of the South American dessert enriched by a burnt condensed milk sause and the luscious ‘Caffè‘, richly loaded with espresso. Among the sorbets, ‘Plantain‘ really stands out. 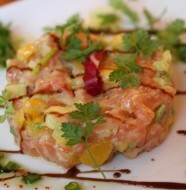 Recommended several times by the locals, Al Settimo Gelo is not one to miss. 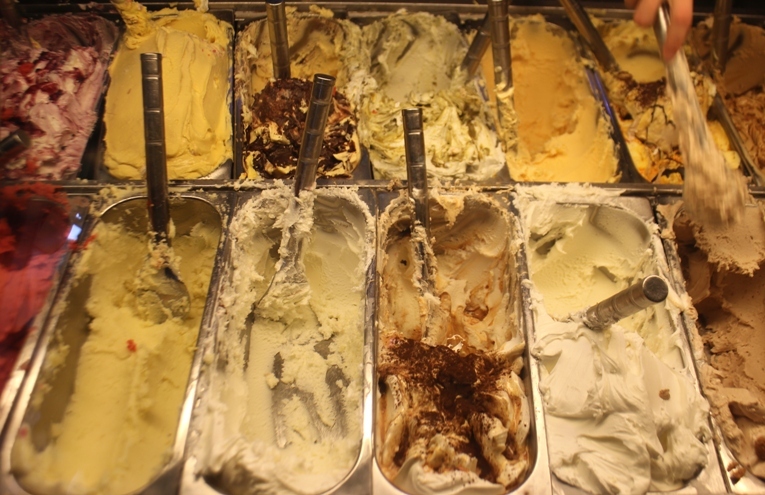 For those longing for creativity in their gelato, this is the place to try. 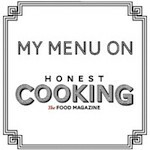 Their specialties include Anise sorbet, Chestnut, Papaya, Honey and Sesame, Greek Gelato with pistachio nuts and the house favorite, Iranian Gelato made with saffron, rosewater and pistachio. 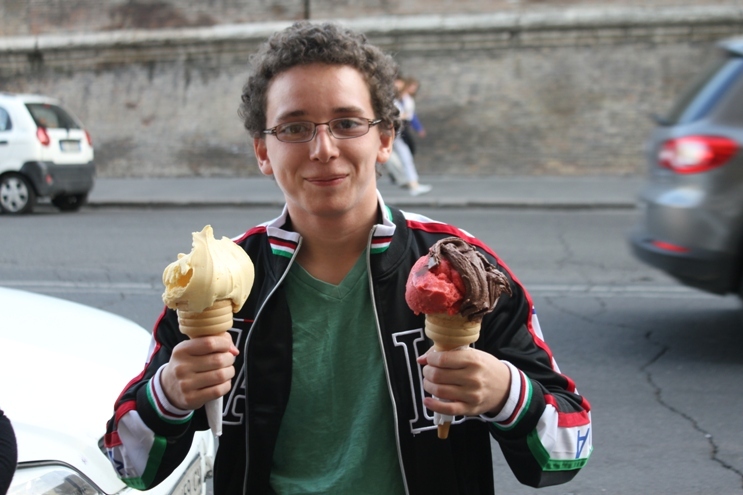 One Comment on "Some of the Best Gelato in Rome"